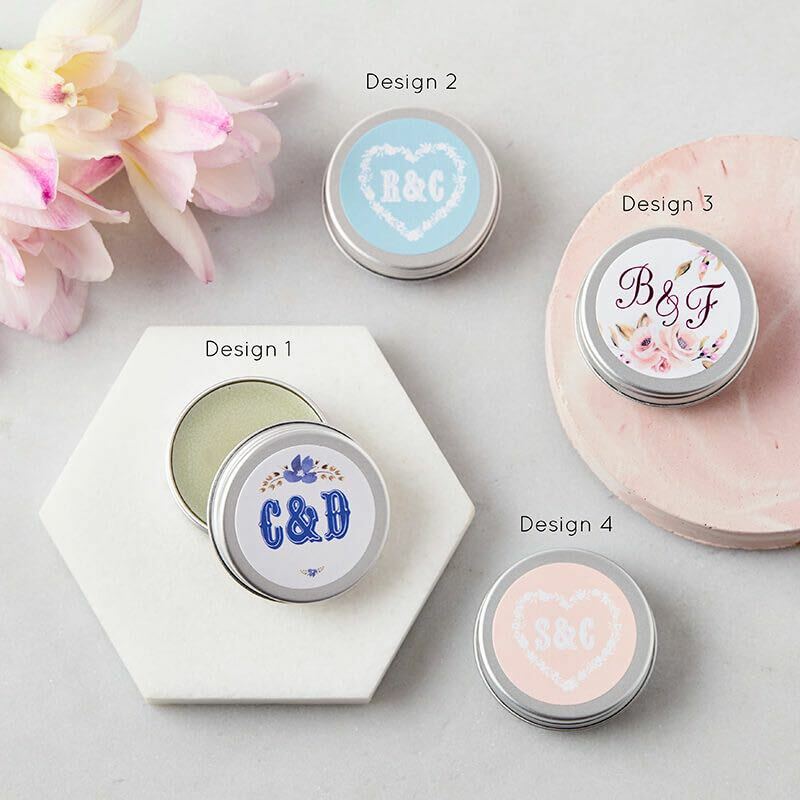 Our Monogram Lip Balm Wedding Favours make for great little mementos for your guests. Comes packaged in a 100% natural cotton bag with tag which can double up as a place name setting for the wedding breakfast. 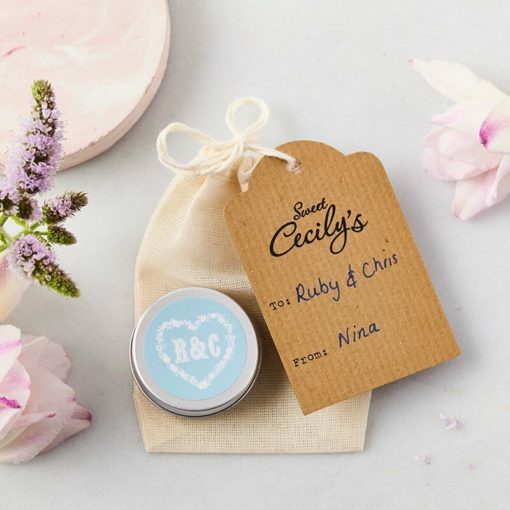 With a choice of flavours and designs, you can create a gift perfectly tailored to the theme of your wedding. Please be aware we print directly from what you have submitted, so be extra careful when entering your personalisation. The two Initials that you submit will always be separated with an ampersand. 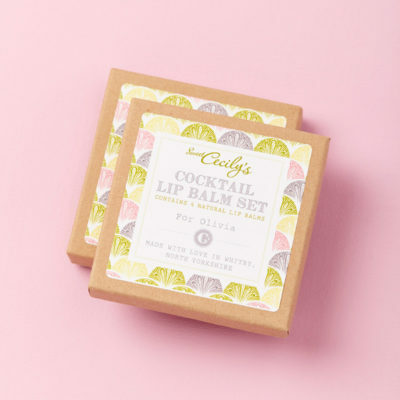 All our lip balms are handmade using the following basic ingredients: Butyrospermum Parkii (Shea) Butter, Theobroma Cacao (Cocoa) Seed Butter, Cera Alba, Prunus Amygdalus Dulcis (Sweet Almond) Oil, Calendula Officinalis Flower & Helianthus Annuus (Sunflower) Seed Oil, Parfum. 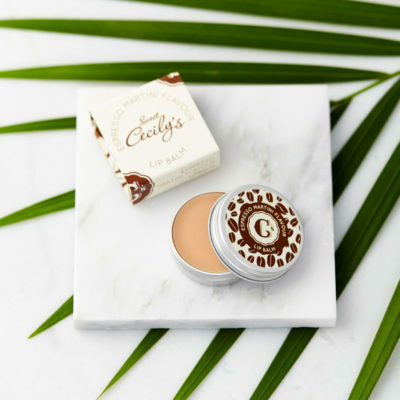 If you wish to see individual ingredients including allergens, these are available on the individual lip balm listings on this site.